Sly James: “It is not acceptable to be late.” It is, however, inevitable. Our gung-ho, “we’re-ready-to-rock-and-roll” mayor has just embarked on a thoroughly delusional journey. His backpack is loaded with peanut butter crackers and granola bars, and he’s ready to stay out in the wilderness for months, it appears. Yesterday, city officials acknowledged for the first time — although they knew it weeks ago — that the company manufacturing the streetcars to run between the River Market and Union Station is running significantly behind schedule. Initially, the first car was to be delivered in June. Then it was late September and now it’s the end of the year. The problem is you can’t start a party without a band, a disc jockey or somebody spinning records in the garage. No music, no party…By the same token, no streetcars, no trips up and down Main Street. 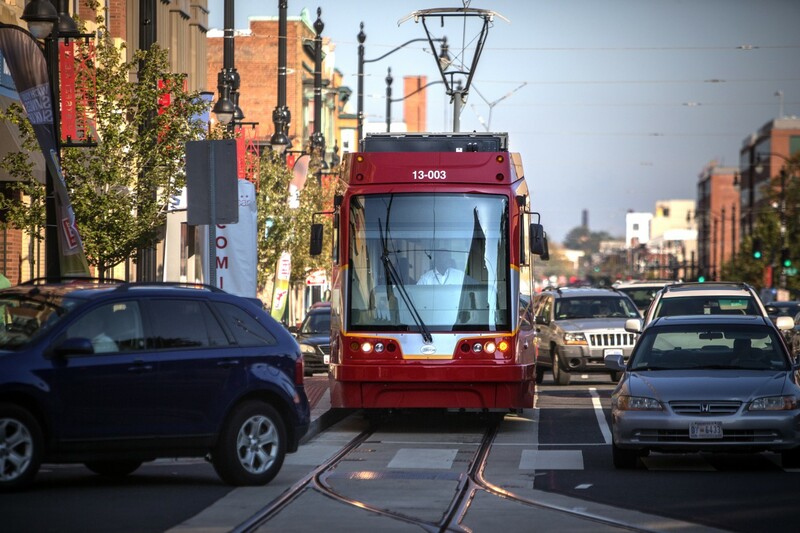 Don’t get me wrong…I’m a fan of the streetcar line, and I think it’s going to generate additional energy and excitement downtown and be good for tourists and residents alike. For months, I’ve been watching progress on the installation of the rails, and that part is essentially done. The next big element is the overhead power lines. A tremendous amount of street repaving also needs to be done. James has been pointing to an arbitrary opening date: mid-March, when the Big 12 men’s basketball tournament begins. He’s still hoping for that, but it isn’t going to happen. In fact, I will be surprised if one streetcar is carrying passengers by late next year. But streetcar production is just one of several areas in which big problems and delays could develop. Another is that each vehicle must be tested for 300 miles along the route. That alone is probably going to take several months. Remember, it’s four cars, 300 miles each. Plus, transportation engineers have to figure out and precisely plot how streetcars, vehicular traffic and pedestrians are going to intermingle safely up and down Main Street. You can’t just plop those cars on the rails, yell “all aboard” and turn on the juice. Safety is a huge consideration that won’t take care of itself. It’s reasonable to expect some of the problems that Washington D.C., has experienced in its effort of several years to get two streetcar lines going. One of the lines, a 2.2-mile run along “H” Street was supposed to have started operating more than a year ago. But it’s still mired in test runs. So, when James says delay is unacceptable, he’s like a first-time flute player trying to get a sound out of the instrument, other than rushing air. Streetcar and light-rail projects almost invariably cost more than budgeted and aren’t done when they’re supposed to be. At this point, the best thing we can hope for is that the $100 million budget for our two-mile system doesn’t become $150 million or $200 million. In that context, a delay of several months is nothing to whine about. But Sly has set the tone: It’s going to be the blame game from now until the streetcars are carrying live passengers. He’s going to spout and fume and grunt about how unacceptable the delay is. You know why he’s unwilling to accept delay like a rational adult, don’t you? Right, because if he doesn’t point the finger at someone else, then it all falls back on him. And that’s what’s really unacceptable. The flute player analogy is one of your best ever, Fitz! Thanks, Tracy…That comes from experience. I took up the flute when I was in high school, and I remember holding the flute for the first time and blowing into it until I just about passed out…I soon learned that, just like kissing, it’s all in the embouchure. …Congratulations on the launch of your blog, Tracy…Check it out, readers, at http://www.jocopost.com. The whole thing is a monumental waste of money that could have been used for more rationally useful transportation needs than an outmoded system. The overhead wires are ugly and add nothing good. Its doubtful it will ever support itself.